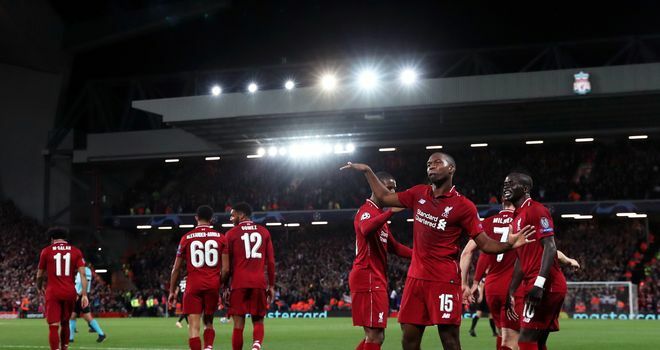 Daniel Sturridge offered a reminder of his qualities in scoring for Liverpool in their 3-2 win over Paris Saint-Germain. His return is a welcome boost for Jurgen Klopp, writes Adam Bate. Roberto Firmino stole the show for Liverpool against Paris Saint-Germain with his stoppage-time winner but the substitute's magical moment came only after the man who had replaced him in the starting line-up had delivered one of his own. Daniel Sturridge really is back now. It was the 29-year-old striker who pounced to give Liverpool the lead against the French champions, nodding home from close range to convert Andrew Robertson's first-time cross. This was the fourth consecutive Champions League appearance in which Sturridge has been involved in a goal for Liverpool. It is a good statistic but here is another one. His previous start in the competition came for Chelsea against Napoli six-and-a-half years ago. Sturridge's last European start for Liverpool was in the Europa League final against Sevilla in 2016. He graced that game with a wonderful finish to put Jurgen Klopp's side ahead so perhaps it's no surprise he could be trusted on the big occasion. But a lot has happened since then. Liverpool looked like an irresistible force against Paris Saint-Germain, writes Adam Bate. His future at Anfield has looked bleak for some time. After an unhappy loan spell at West Brom last season that yielded yet another injury and even a relegation but not a single goal, the expectation was that he would soon leave Liverpool for good. But with no sizeable offer forthcoming, he has returned to the fold, even scoring within 24 seconds of his comeback appearance against West Ham. But a Champions League clash against Paris Saint-Germain? Not everyone was convinced that Sturridge was ready for that. As Klopp himself pointed out afterwards, such was the quality of the opposition and their prowess on the counter-attack that there could be no passengers. "If you play at 95 per cent then you lose 5-0," he said. "One of them a yard less tonight and game over." That sort of intensity has long since ceased to be Sturridge's game. But he did all that could be asked of him and more, regularly filling in down the flanks to cover for Sadio Mane and Mohamed Salah. It was a goalscoring performance but it was a responsible one too. "It was a great performance by Daniel," said Klopp. "The three in midfield did an outstanding job but they can only do it when the two wingers and the number nine are helping in all these situations to keep the formation compact. It was fantastic." The key is that Sturridge looks fit. The explosive pace of old that once helped him to score 21 Premier League goals in a season for Liverpool is no longer there, but he still had the turn of speed to buy a clever free-kick in the first half. The engine is running again. "I said to Daniel before the game, you are in the best shape since I have known you, physically wise, so now you have to use that," said Klopp. "That's what he did. Super game, super goal." It was super management from the Liverpool boss too. "I said to Daniel before the game, you are in the best shape since I have known you, physically wise, so now you have to use that. That's what he did." Roberto Firmino had "no chance" of being fit one day before the game but such is the forward's importance to this Liverpool team that it would have been easy to throw him straight in once he declared himself available on the morning of the match. 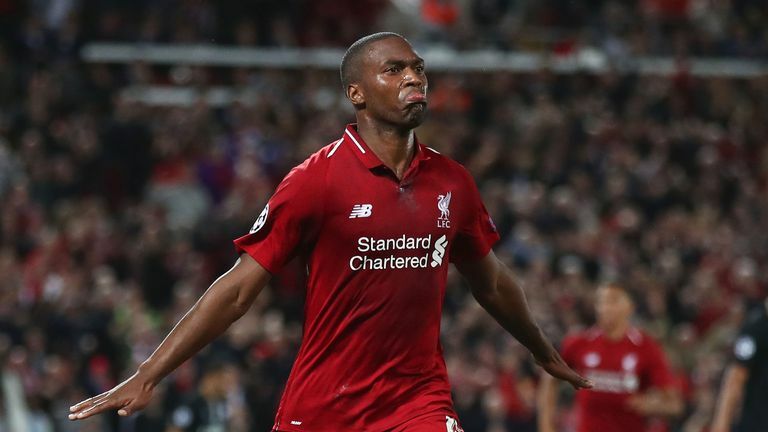 But having been involved in only one session in preparation for such a big game, the message that it would have sent to Sturridge would not have been a good one. "I really think it is a moment where you have to show faith in the squad," Klopp explained. "Yes, when you have Bobby Firmino available, you actually always think, 'Come on, bring him'. But it was nice to see how Daniel performed tonight and he paid 100 per cent back so that's so cool for him and for us. It is such an important sign." The significance for Liverpool is that there is now genuine belief that they could be capable of competing on multiple fronts this season. Their style of football remains energy sapping but that is non-negotiable - it is an intrinsic element of their success under Klopp. What was needed was greater squad depth. Liverpool now have it. Of course, Firmino is likely to return to the starting line-up when they look to extend their 100 per cent record in the Premier League against Southampton on Saturday. But expect Sturridge to appear in the Carabao Cup tie against his former club Chelsea next week. Having seized his chance against PSG, he can now do so in the knowledge that he is once again a valuable member of this squad. The next time that he is needed on a big night at Anfield, there will be no need for trepidation.